Often, an organization is only perceived through its events, programs, and results (as it is intended to). 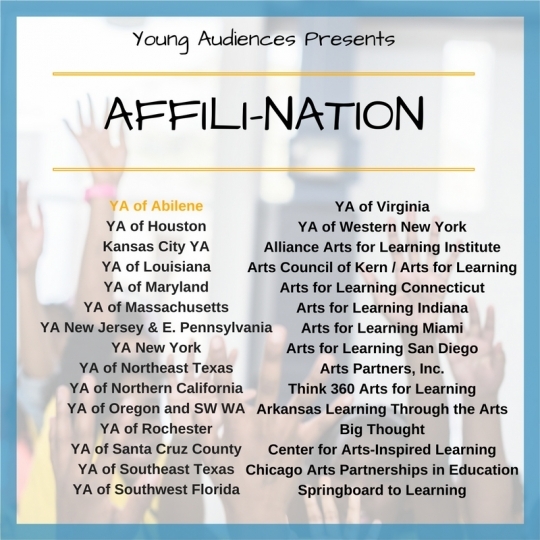 Affili-Nations mission is to introduce the YA community to the incredible people in each Affiliate organization who make the magic happen. Meet Diane Hunt, Executive Director for Young Audiences of Abilene. Diane accepted the position as Executive Director of Young Audiences of Abilene as a brand-new member of the community. She already had a great appreciation for arts in education having spent 30 years as an elementary school teacher. She has long understood the invaluable role of the arts in educating the whole child. Abilene is a community that embraces the arts, and one of her favorite YAA roles is participating in the Children’s Art & Literacy Festival each June. 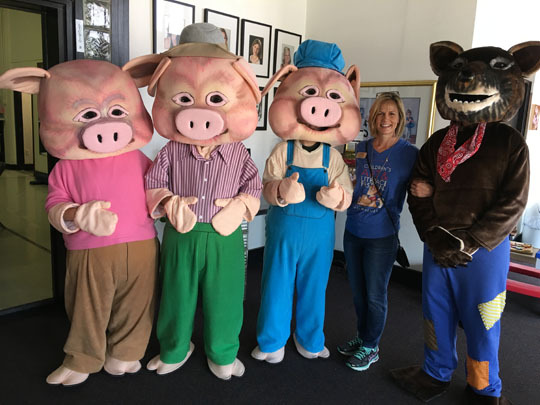 This year Abilene celebrated the work of illustrator Garth Williams, and; Diane said, "it was so rewarding to see thousands of children and adults interacting with pieces of literature, storybook sculptures, storybook characters, and live theatre all inspired by Williams’ work." Many of Williams’ original illustrations, including pieces from Charlotte’s Web and Stuart Little, will be on display at the National Center for Children’s Illustrated Literature through September. To learn more about YA of Abilene, visit their website here. Make sure to check in with us every Tuesday to meet an Affiliate staff member who is responsible for the incredible work these organizations do!